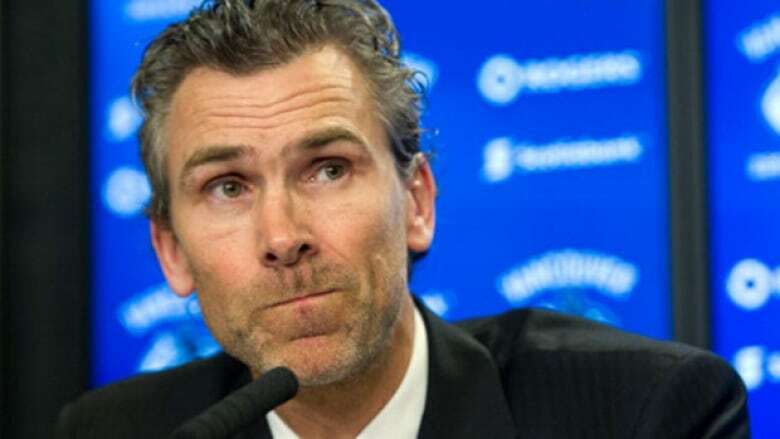 The Vancouver Canucks announced Wednesday on Twitter that the team and president Trevor Linden have agreed to "part ways." In a statement, the team said Linden was leaving to "pursue different endeavours" after four years heading up the team. The statement said that Jim Benning will take over hockey operations. "I would like to thank Trevor for the opportunity he gave me and my family," Benning said in the statement. "I have thoroughly enjoyed working and learning from Trevor over the past four years. We still have lots of work to do, but I am proud of what we have built together so far in Vancouver." Linden served as president of hockey operations for four years. In four seasons under Linden, the Canucks were 140-150-9, making the playoffs just once in 2014-15, losing in the first round to the Calgary Flames. Linden previously played 19 NHL seasons, and over 1,300 regular season games with the Canucks, Montreal Canadiens, New York Islanders and Washington Capitals. He played for the Canucks for the majority of his career, first between 1988 and 1998, and again between 2001 and 2008. He was named captain of the Canucks at age 21, making him one of the youngest captains in league history. He retired in June 2008. "There aren't many individuals in sport more connected to a team and a community than Trevor is in Vancouver," Canucks managing partner Francesco Aquilini said in the statement. In a statement also posted to the Canucks website, Linden said it was a "difficult day." "The team and this game hold a special place in my life and I leave very optimistic about the direction the Canucks are headed," he wrote. "I love this city and this province, and I will always have a special relationship with this team and Canucks fans." Linden said he would be stepping back from the spotlight to enjoy the summer with his family. 5/12. Jim and Travis Green will continue rebuilding the team as per the plan we have in place. A new president will be named in due course. In a 12-part series of tweets, Aquilini alluded to a "rebuild" of the team and said a new president would be named in due course. "A rebuild is a long, slow, gradual process. Everybody needs to be united behind the same vision and pulling in the same direction," he wrote on his Twitter account shortly after the Canucks statement was released. "The ownership group has done and will continue to do, whatever it takes to return the Canucks to the elite of the NHL. I'm confident we are progressing along that road."